We have three potentially exciting Friday night games this evening. Why not make them more exciting by winning money from them? Nick Dunning is here for you. We have three exciting games on the docket for Friday Night in college football and we are going to preview and make some fearless picks. We will have the full PickBook for Saturday out later on tonight for tomorrow’s full Saturday slate of action. We start with what many believe will be a shootout. And, while many times here at WagerAlarm, we will give you a one-sided view of how we see things shaking out - this is not one of those times. You see, myself (Nick Dunning) and my buddy, Mark Taylor tend to disagree. When that happens, we usually bet a round of golf or a 30-pack of Busch Light. So, here are our arguments for both sides and you can decide which side you want to back. I’ll be getting (another) free round from Taylor - who never pays up anyway. In what’s sure to be an exciting shootout between a couple of high-powered offenses lead by McKenzie MIlton and Devin Singletary, nearly two touchdowns seems like too many points. Florida Atlantic has had a rough schedule to start to their season (Oklahoma and Air Force), but they are a very solid team. UCF has not yet seriously been tested this season, and it wouldn’t shock me if FAU would win outright. I don’t think they will be able to get enough stops to get the win, but they’ll score enough to cover. Okay, UCF comes in relatively untested with easy wins against a really bad UConn team and FCS South Carolina State. However, this is still in large part the co-National Championship team from a year ago. McKenzie Milton and company had their game rained out last week, are rested up, healthy and ready to roll all over an FAU team that just doesn’t have the fire-power to keep up. Not to mention, this Knights defense is better than many expected after some key losses. This is a statement game for UCF and this stays under 74.5 because FAU won’t do their part. This one shouldn’t be close. Vegas agrees as they have the line sitting at -27.5 in favor of the Nittany Lions. Illinois surprised some with a cover against a pretty good South Florida team last week. That final score didn’t indicate the game flow however and the Illini are not a very good team. Champaign will be rocking for a Friday Night battle with a national power and they might come out pumped up and show some signs of life early. 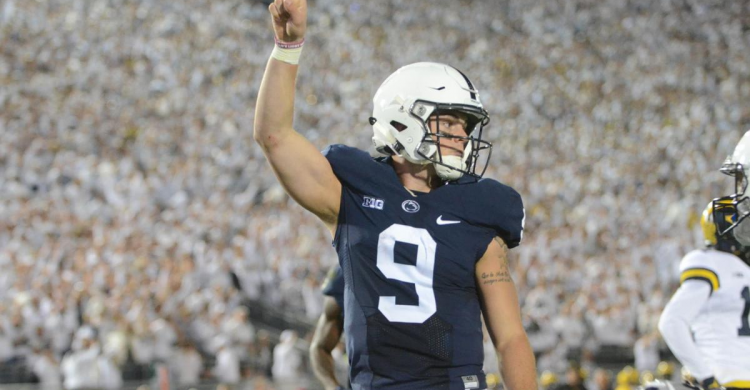 In the end, Trace McSorley, Miles Sanders and this Penn State offense won’t be stopped and they cover easily. The nightcap is a very interesting game. USC is coming off two disappointing performances and fell to 1-2 after beating UNLV 43-21 in week one. Both of those games showed that this offense under true freshman JT Daniels is not quite up to speed. Those were two very good defenses in Stanford (three points) and Texas (14 points) on the road. They get back home to take on a Cougars team that has surprised many with their 3-0 start. They have outscored opponents 131-43. Those opponents, however are an overrated Wyoming team, an FCS opponent in Eastern Washington and San Jose State, who very well may be worse than Eastern Washington. The fact is that this team has not been tested and going into an environment like the Coliseum in prime time Friday night is not an easy task. I just have a feeling that this offense will start to click and the defense shows up with the home crowd behind them.